You'll need to sit down for this one. Or, as the chances are high that you are already sitting down, just hold that position. 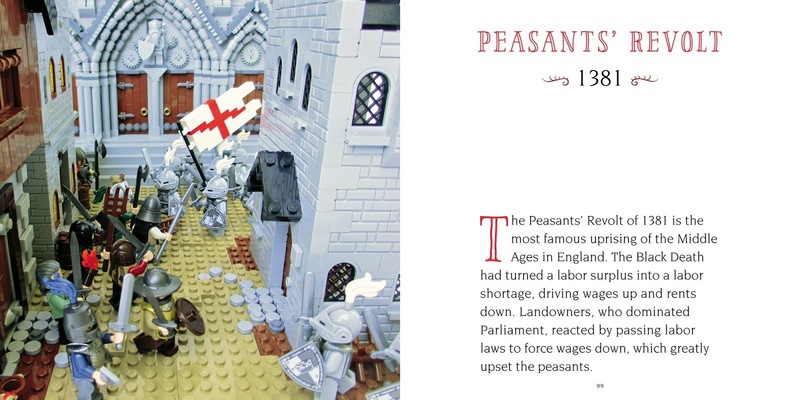 Medieval LEGO is a brilliant way to teach children about the history of Medieval Great Britain. 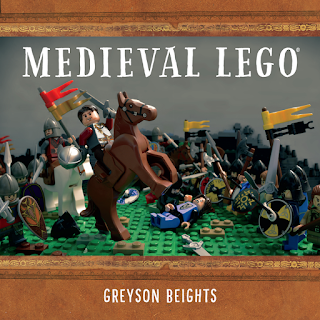 Compiled by author Greyson Beights, this small-in-stature book (it's roughly 7 in. x 7 in.) is comprised of short stories from various history professors sharing information about everything from William the Conqueror's invasion and victory, to the Battle of Bosworth Field when Henry Tudor took the crown. In between you'll read about various battles and conquests, the singing of the Magna Carta, the Treaty of York,the Great Famine, Geoffrey Chaucer, and the Black Death. Each topic is covered in 2-3 pages of text and as is fully illustrated with LEGO scenes. It is essential that we learn history. History tells us where we've been and where we might yet go. Winston Churchill once stated, "The farther back you can look, the farther forward you are likely to see." I couldn't agree more if I tried. 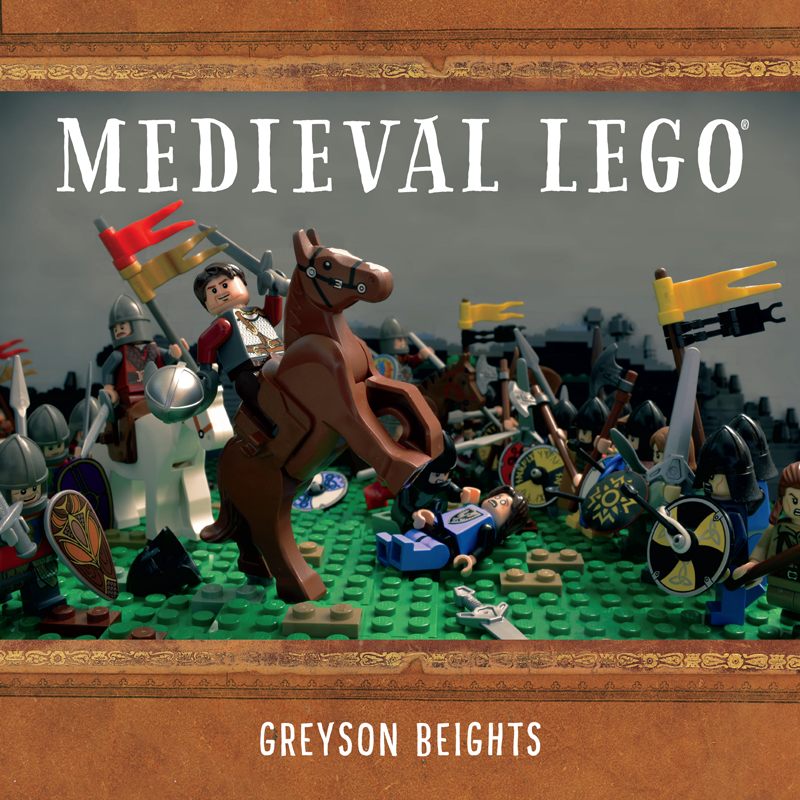 LEGO enthusiasts in our household quickly picked up this title to flip and read through it. It has been laying out on our coffee table for the past week or so and I've witnessed more than one guest eyeballing it during conversation. This book has been picked up and thumbed through repeatedly which is exciting to me because I find it beautifully laid out and quite interesting to read. 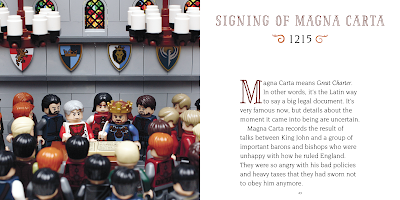 We highly recommend Medieval LEGO to you for your consideration. It's just absolutely delightful. Many thanks to No Starch Press for sending a copy of this title my direction in order to facilitate this review. I received no additional compensation and all opinions are 100% my own. Oh cool. Dash and Dot are doing the Middle Ages in school this year, Dash will *love* this. And I'm only second on the library hold list! This one just arrived at our house, too! :D My Grasshopper LOVES history, so I couldn't resist giving it a try.